A local, family-owned business since 1963 recently revamped and rebranded. See what’s new at this Northern Kentucky classic. Fessler’s is a local pizzeria that offers pizza, sandwiches, and more. Cincy Chic: What is Fessler’s Pizza? Connie Fessler, Owner of Fessler’s Pizza: Fessler’s Legendary Pizza and Hoagies has been a family owned and operated business since 1963 in Bellevue, Kentucky, making pizza, hoagies, and more. We offer casual family dining, carry-out and delivery. Cincy Chic: What’s the inspiration behind Fessler’s Pizza? Fessler: The restaurant business is in Paul’s DNA. He attended the Culinary Institute of America and then worked as a chef at some high end restaurants. So he knows his stuff. He wanted to work for himself so when the opportunity arose to take over the restaurant from his parents, he took it, and he has certainly improved on it ever since. Connie, on the other hand, came from a different background. My background is motion graphics and design. My role in the restaurant has evolved from solely producing graphics for the restaurant to being hands on operator over time as needed as I am the “mom” in the “mom and pop shop” that we are. Cincy Chic: What can readers find on the menu at Fessler’s? Fessler: We offer pizza, hoagies, salads, stromboli, pasta, soups, burgers, kids meals, and even specialty dinners. 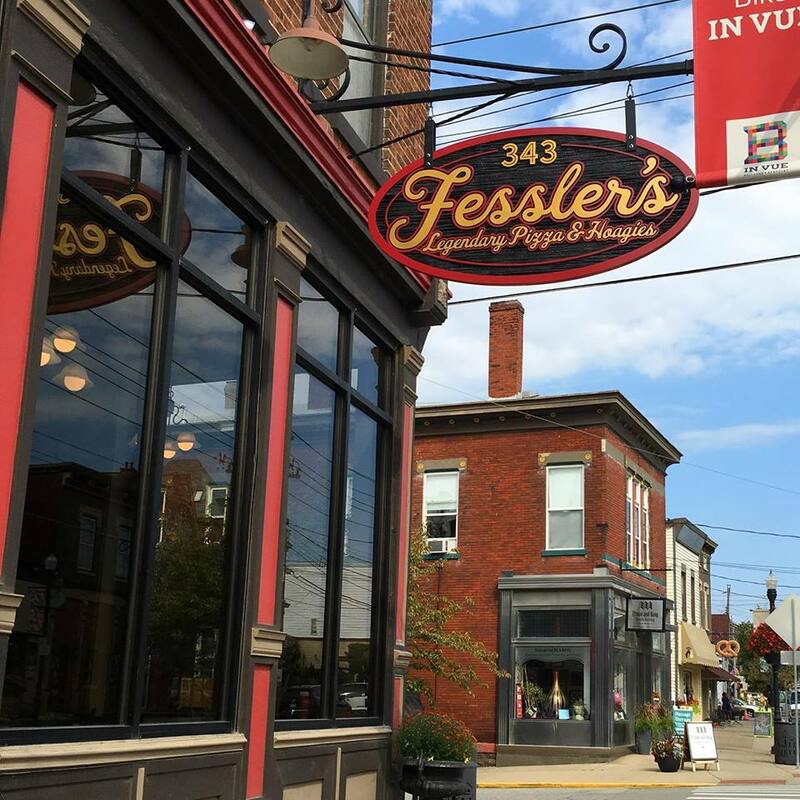 Cincy Chic: What makes Fessler’s unique? Fessler: The family business has been around for more than 50 years. Originally the business was associated with Pasquale’s but underwent a rebranding in 2016 when we re-emerged at Fessler’s Legendary Pizza and Hoagies. Since the rebrand we have added to the menu and continued to support the local community. Cincy Chic: Where can readers go to learn more and follow along? Fessler: Visit our website at http://www.fesslerspizza.com/ or “like” us on Facebook.